Famous for its unique culture and legendary surf breaks, Bali is truly one-of-a-kind. 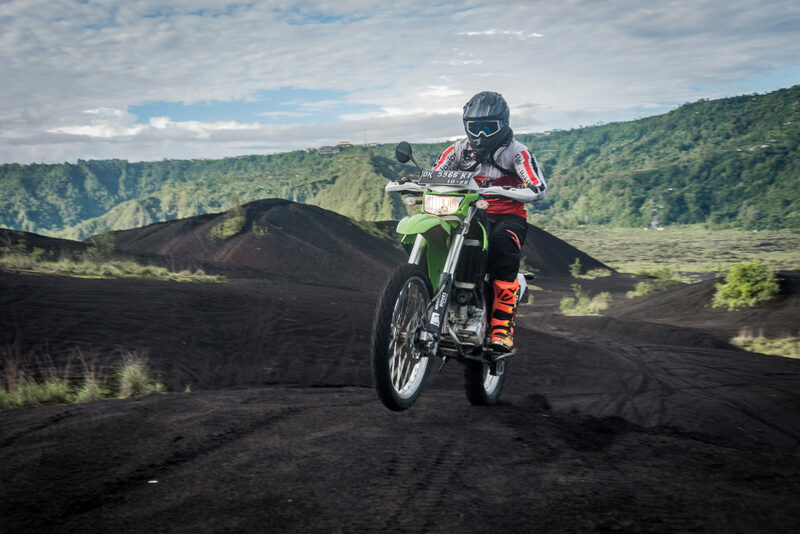 Adventures Riders Indonesia offer 1 and multiple day Bali dirt bike tours through some of the islands most spectacular scenery. 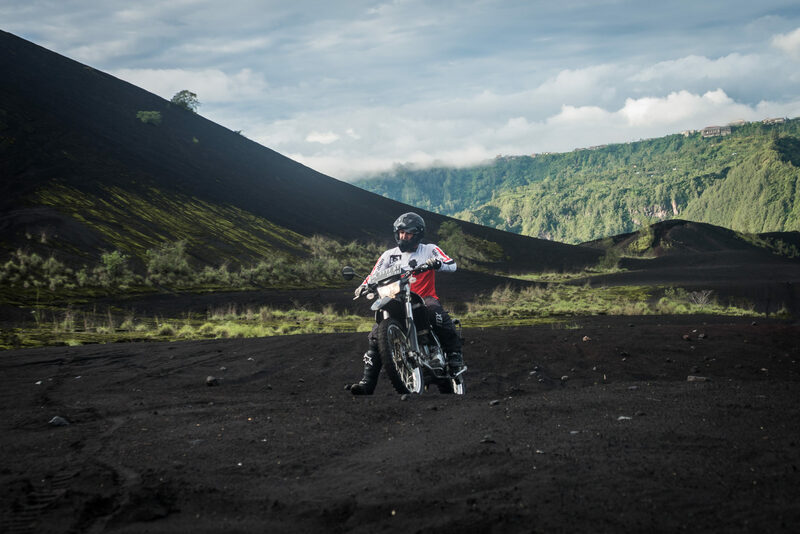 Our guided motorcycle tours will lead you through some of the best landscapes and terrain Bali has on offer. Ride through tropical rainforests, terraced rice paddy fields, volcanic black lava sand, stunning coastlines in addition to the best possible view of the mighty Mt Agung volcano. Our English speaking guides have years of experience guiding off-road adventures in Bali. Therefore their knowledge of the island and it’s trails is second to none. Bali is known as ‘The Island of the Gods’. Join our dirt bike adventures around this land of rich cultural and above all natural beauty to find out why. We will pick you up from your hotel or villa and transfer you to our departure location in Ubud. After a Quick Briefing and introduction to the dirt bikes we ride up into the Ubud’s spectacular rice paddy area, crossing the Golden Bridge and riding through a pine forest. 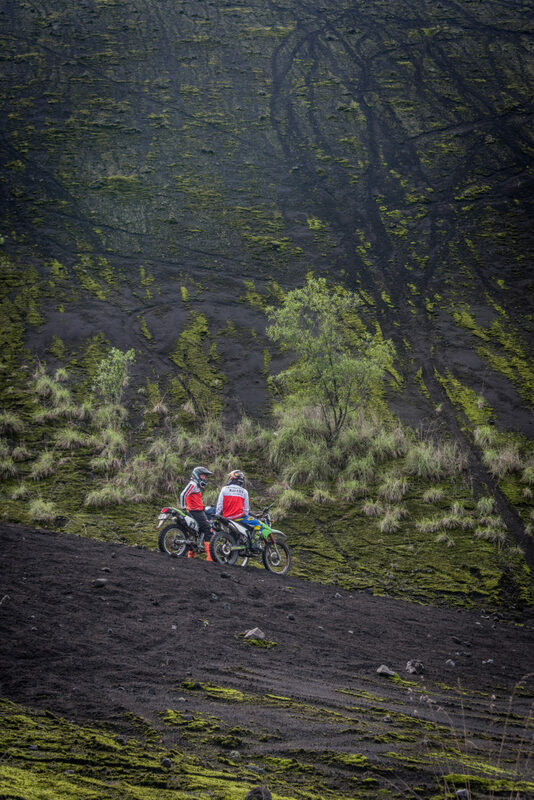 After a delicious lunch in Kintamani we ride up into the black eruption lava sand hills on Mount Batur. Fantastic off-roading. In the afternoon we ride down to the north coast line and finish our day at the Ocean View Dive Resort in Tulamben. After breakfast at Ocean view Dive Resort we ride to the base of Mount Agung volcano crossing the eruption river of stone and it’s slopes while getting some of the best views of the Volcano from a safe distance. After lunch we ride back towards Ubud crossing the top of Batur Volcanic lake and through bamboo forests. Afternoon arrive back in Ubud, cold beer and transfer back to your hotel.